Traditional biofiltration technology ideal for treating lower concentrations of odors and emissions at high flows. BioAir’s EcoBed biofiltration systems take on the form of traditional biofilters. Polluted air is collected and centralized before being piped to the bottom of a concrete-lined or custom-built basin. The basin contains a layer of gravel followed by a layer of engineered inorganic media through which the air is dispersed. Polluted air is forced upward from rows of pipe at the bottom of the treatment basin. 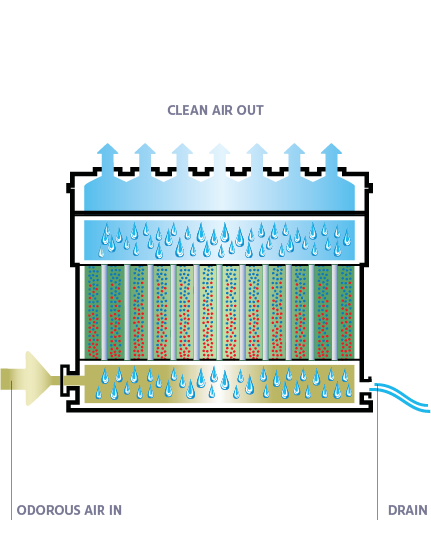 BioAir’s EcoBed systems feature very porous engineered inorganic media, which harbors the microorganisms that metabolize the unwanted compounds in the air. The media also enhances mass transfer. After the unwanted compounds are metabolized by the microorganisms living in the biofilter media, clean air is released into the environment. Classic biofiltration systems are considered low-efficiency treatment systems, but they are well-suited for settings where odor loadings are low or where local statutes mandate that these more established systems be incorporated on municipal sites. 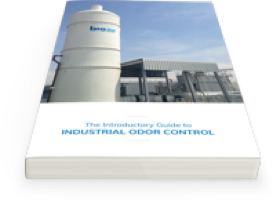 Established odor and emission treatment technology. Simple process features fewer moving parts. Affordable and relatively easy to maintain. 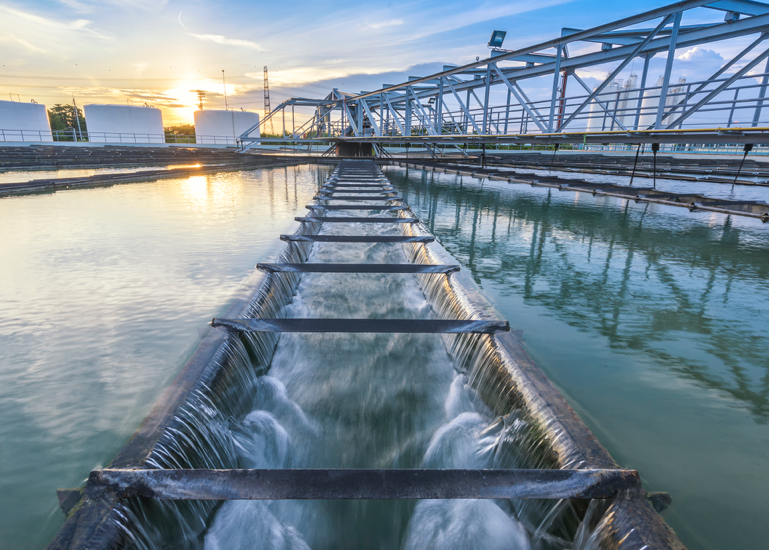 BioAir’s EcoBed biofiltration systems are most commonly found in municipal wastewater treatment settings where classic biofiltration is a well-established treatment method. However, BioAir Solutions is focused on developing odor and emission control systems that match specific site challenges, so we do not limit our recommendation of EcoBed systems solely to municipal sites. We’ll recommend them any time we believe they are the best solution to the problem.